Looking for fresh apps for your iOS device? We’ve found 44 top apps that were released recently. 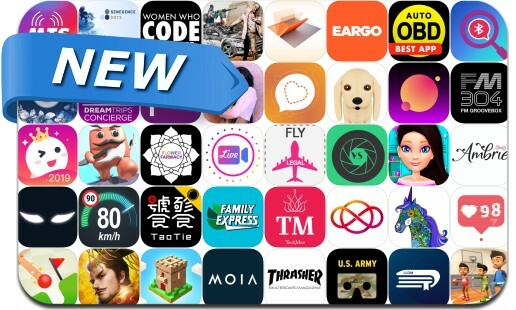 Today’s batch of new apps includes Merge TD: Idle Tower Defense, Three Kingdoms: Epic War, Folding Blocks, Crafty Lands, Meteor Blast!, TopU - Let's video chat, VShoot, Dynasty Dominator and many others. More Fun. More Addictive. Open fire to meteors and upgrade the cannon! Don't play too hard! - Use only One Finger, swipe to dodge and shoot. - Faster meteors, more challenging levels. - Choose the favorite powerful cannons to open fire. - Our planet is in danger, time to fight against the Boss! - Real-time leaderboard. Let's rush to the top!